I read the book and enjoyed it. Appreciate your helpful commentary on the movie. I can see how some of the experiences he shares in the book would be hard to translate into a movie that doesn’t glorify sin, while presenting a positive Christian message. And a Happy Easter to you and your family Floyd. Have you read the book? If you can’t tell I highly recommend it. I agree with you on the people that are stuck in a Hollywood mindset. Donald Miller is not that person though. This movie almost wasn’t made, he had to do a Kickstarter campaign for it to survive. I’m just disappointed that it was more of the same in what we see in a lot of movies, when he had such an opportunity to delve deeper into the truth of God. There is a powerful closing scene, but it only takes up a few minutes of the film. The closing scenes with the truth about God is what people are desperate for. Wow, Audra, thank you for that illuminating review. 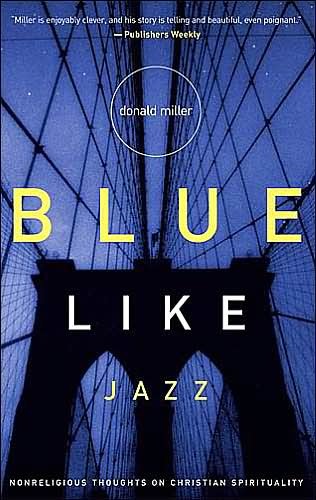 I, too, love Blue Like Jazz, and I, too, prefer not to relive lewd college days, nor pay to be ridiculed. Thank you for the headsup. My pleasure Susan. Easter blessings to you and yours! Thanks for the head’s up with the review. The book is a great read, one of his best. Sorry the movie isn’t that way, was hoping for a whole lot more! I agree Richard, definitely one of his best books. Audra, Thanks for the review. I was wondering how they would ever translate the book (which I also loved) into a screenplay. I will pass on the movie version, gladly. Great to hear from you Susan! I have to admit the movie does have creativity to it, but it just could have been so powerful. Audra … I have read the book. And re-read it. And re-re-read it. I had so hoped that the movie could do the book justice. This is disappointing. I do plan to check it out anyway, but very much appreciate your heads-up, especially with regard to child-appropriate content. Hi Jennifer, I’d love to hear your thoughts after you see it! Hmmm…Where to go between the Kirk Cameron-esque (again, I admire him, but the movies seem too canned) and the mocking of Christianity. There HAS to be someone who can do better. May God help someone kick down the doors and give the opportunity and support for better to happen, and soon. Thanks for the review, Audra.